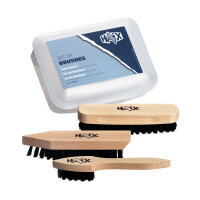 Product information "HAIX Airpower XR26 WS"
For extra foot comfort, impact-absorbing, moisture-wicking, antibacterial. Separate heel cup ensures optimized cushioning and foot guidance. “AIRFLOW” channels. Flexible, lightweight and protective metal throughsole. Anti-slip rubber/PU sole with road/off-road profile, abrasion-proof, for enhanced toe-to-heel support, ideal for cold weather conditions. The lightweight PU cushioning wedge provides optimum wear comfort. Excellent thermal insulation. 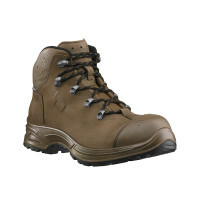 The nonmarking outer sole is resistant to heat, oil and gasoline. 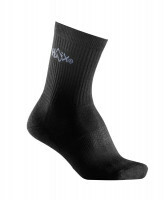 The HAIX® Arch Support System supports the natural curvature of the foot. Toes and joints have thereby sufficiently more space. Keeps foot in the best position for optimal foot health. Easy running lacing elements of high quality, padded shaft, TPU-toe cap.